The homestead complex at Aird commenced in 1861 with the selection of land by the Fraser brothers. The original 3 roomed stone section of Aird was built in 1867 for Colin Fraser and his wife. This building has been extended during the 20th century to create a substantial homestead. The outbuildings include an early stone stables and smithy, various sheds, and the corrugated iron woolshed. Aird has a well established garden with a number of mature trees, dating from the early 20th century. Aird Homestead complex is of architectural and historical significance to the community of Byaduk and the Southern Grampians Shire. Aird Homestead Complex is of architectural significance as a typical example of a substantial stone homestead built during the expansion of Byaduk as a community, following the 1860s land sales. The several additions to the homestead have architectural importance for the size and quality of their construction, including the design of the award-winning Melbourne architect John Gurry. Aird Homestead complex is of historical significance for its long association with the Fraser and Christie families, pioneers of the district and important members of the civic community at Byaduk. The main house including all of its extensions, is in excellent condition. The coach house and stables are in fair condition, while the woolshed is in good condition. 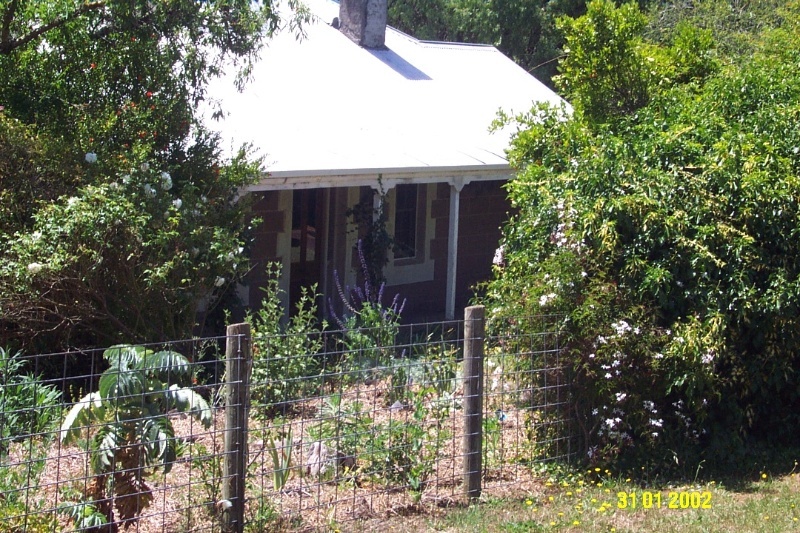 The homestead at Aird has been constructed in at least 4 stages. The central and earliest part appears to have been built of stone of 3 rooms (2 small, one large) on either side of a central passage. This is likely to have been in a simple vernacular style. There may have been outbuildings associated with this structure but none have survived. At the turn of the 20th century, a timber section of two rooms on either side of a central hall was added to the front of the original stone house. This is loosely in the Italianate style, and contains details and materials typical of the period, such as pressed metal ceilings, leadlight door and windows, and joinery. This section has a timber verandah with cast iron decoration, which is conservative for its period. These principal rooms have substantial windows facing onto the verandah. Chimneys were located on the outside end walls of these two front rooms. Both rooms have been extended in timber in the 1980s with polygonal bays. At the rear of the original stone house there are substantial extensions undertaken in 1981 under the design of architect John Gurry. This included a large family room and dining room with a new entrance between them, the kitchen, garage and other service areas. Much of the bluestone used in this wing came from the nearby ruins of the old Suttie homestead "Glen Don". The main house is set within a conventional mature garden. Beyond the garden to the east there is a stone stable and coach house, to which has been added at a very early date a corrugated iron smithy. There are other alterations and extensions which are not modern. Some distance away is the woolshed, originally clad in weatherboard, and now covered with corrugated iron. The date of construction is not known, and may date from the early 20th century. The main house has a low degree of integrity. The coach house and stable has a high degree of integrity. The woolshed has a good degree of integrity.